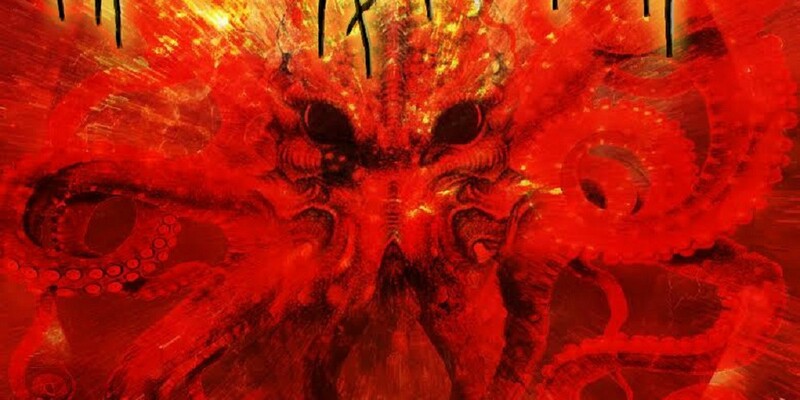 With the release of their second EP Arrival, The Beast of Nod (Boston, MA, USA) shows growth in technicality and composition while continuing their onslaught of aggression and groove with songs like „Cephalopod of Doom“ and „Hyperanal Hemorrhaging.“ The band brings a style of death metal that encompasses a blend of old and new school styles, is bolstered by progressive elements, and is pinned together with ripping guitar solos and driving rhythm. Given that the guitarist Görebläster Körpse-härvest Lunden is a Ph.D. student in atomic physics and the singer Paul studied biology and chemistry, it makes sense that scientific influences are found in both the music and the lyrics. On top of this, some of the band members are very much into comic books, so it’s no surprise they have created their own comic book universe which is explored in the lyrics and themes of many of the tunes. 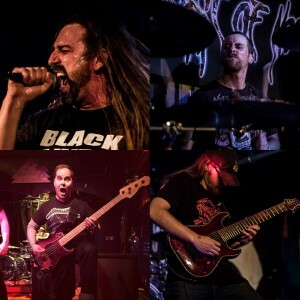 Combined with the traditional death metal themes of tunes like „Ripped Off Face“ from their first EP Enter the Land of Nod, the band’s songs already cover a tremendous amount of ground – and the Beast will be returning to the studio in Fall 2016 to bring everything to the next level. Deutscher Text ist noch in Arbeit.